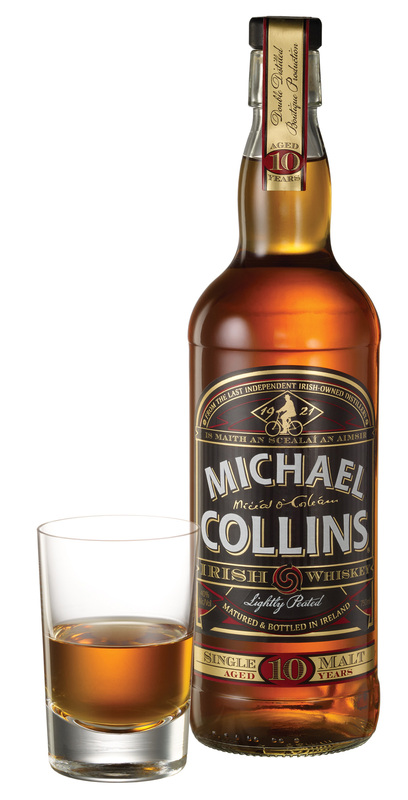 Michael Collins is mix of peated and non-peated single malt barley as opposed to the usual malted/un-malted barley comprising many of the blends in the Irish category today. 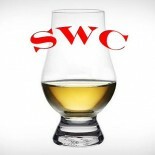 This double distilled whiskey carries a 10 year old age statement and is aged in first fill bourbon barrels. Intended for the premium Irish category in America, this Cooley Distillery malt averages $40.00 a bottle. One more welcome departure from the norm is that Michael Collins 10 Year is peated, however so lightly. Let’s get to it. Nose- Heavy, aromatic with doughy cereal notes. Dried red apples, coconut. Vanilla with slight smoke. Peppery. Taste- Balanced and mellow. Sour apple, grain, pepper and cigar. Nice sweetness. Finish- Some heat, peat picks up nicely. Some oak with a slight soapy note. Explosive and drying. Satisfying. Comment- Succeeds. Well balanced and good depth. We will be looking to keep this in our cabinets. Recommended.